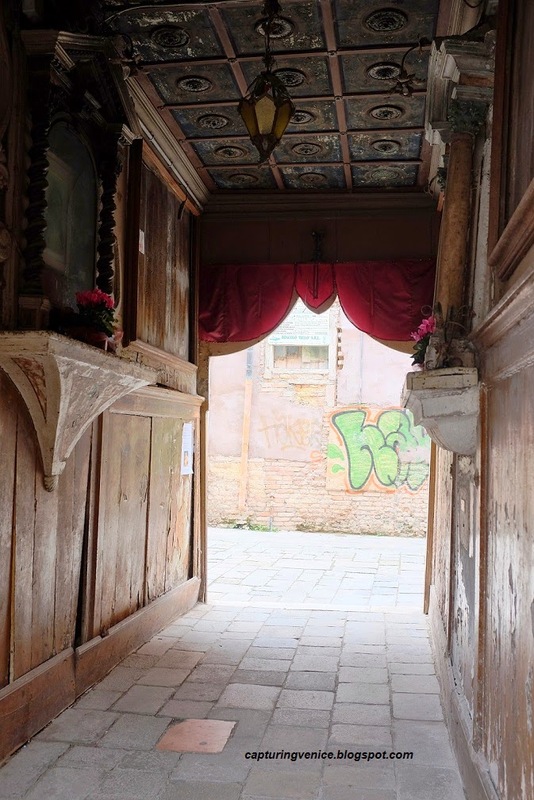 What I love about walking around Venice, is that you just never know what you’re going to stumble upon next. 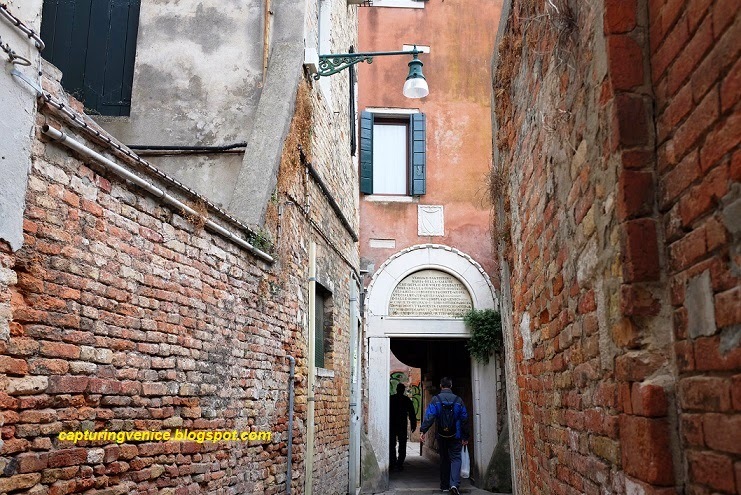 One morning, walking from near Campo San Zanipolo towards the Arsenale, we wandered down a narrow alley. 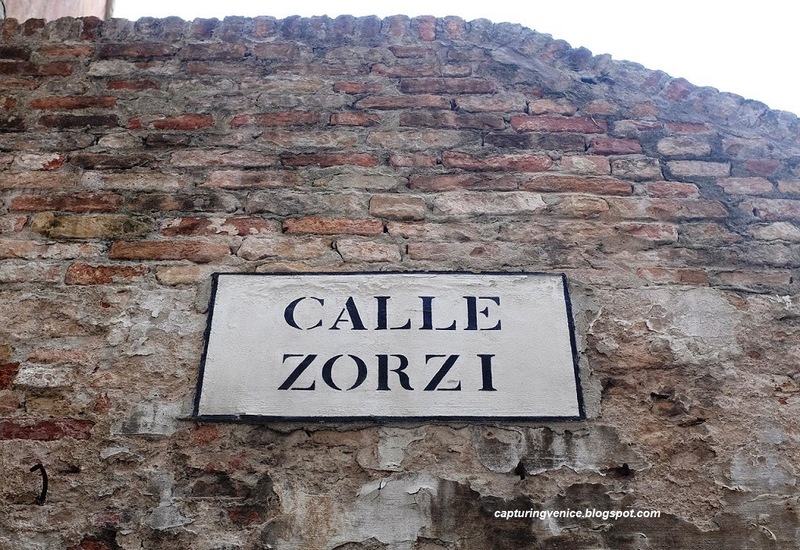 I was taken by the nizioletto on the wall: ‘Calle Zorzi’, and was wondering if the name of the alley has anything to do with the family of Venetian historian and author, Alvise Zorzi. 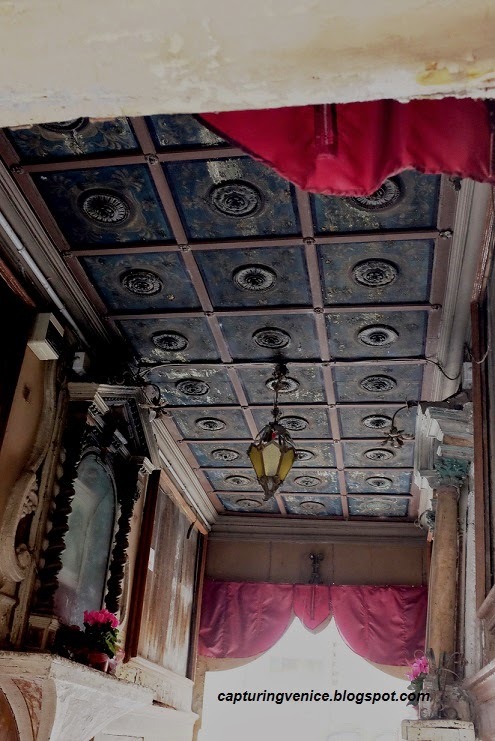 I remembered reading about this site in Thomas Jonglez and Paola Zoffoli’s fantastic guide, Secret Venice. 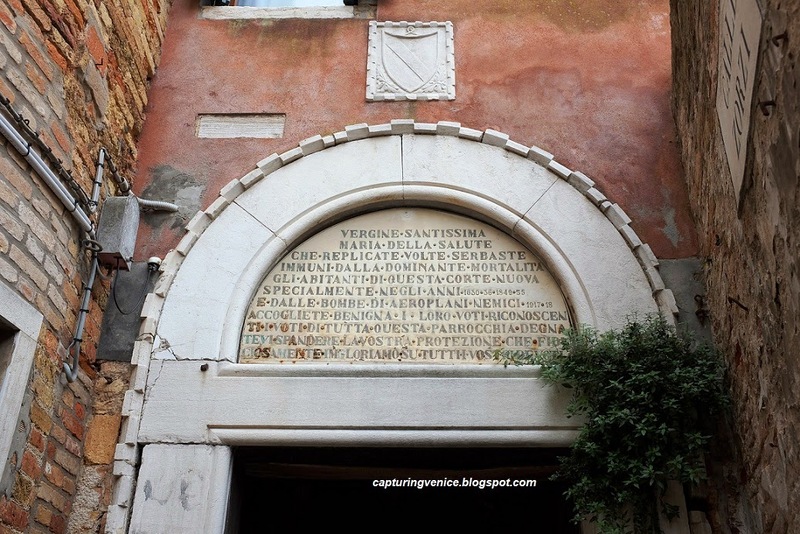 During the plague of 1630 (which killed over 50,000 Venetians), a local girl, Giovanna, urged her neighbours to keep their faith. 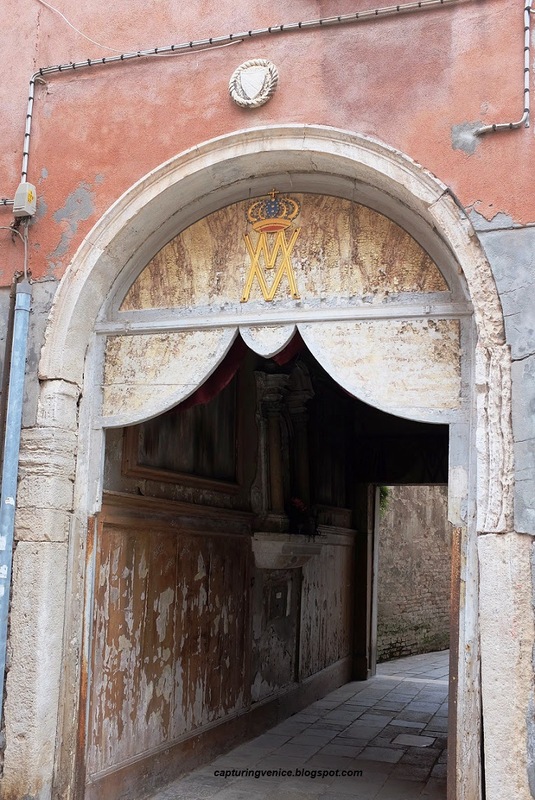 She drew a picture of the Virgin together with San Rocco (patron saint of the plague), Santo Sebastiano and San Lorenzo (protectors against epidemics), placed it in this sotoportego and encouraged her neighbours to gather each day for prayer. The inhabitants of the courtyard were spared. A slab of red marble from Verona was installed in the floor of the chapel to commemorate the miracle. Apparently, during WWI, the residents of the courtyard again invoked the intercession of the Virgin to spare them from enemy bombing. I felt like I’d taken a step back in time for a few moments as I stood inside the chapel, thinking of the people who had prayed for their very lives in this spot and lived through terror: from the plague in the 17th century to hellishness of war in modern times. It was a moving and slightly eerie experience. 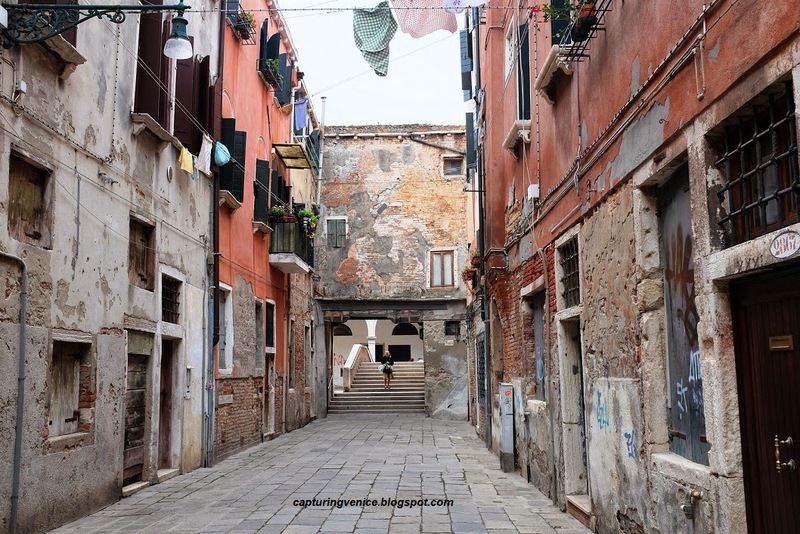 And then, we turned, back to the present-day to continue on our way through the ordinary, every-day streets of Venice. Isn't that sotoportego a winner! Are you still in Venice? If so, I can suggest another seldom noticed sotoportego to visit. Thanks Yvonne, I am back in Australia. At this stage, no specific date for my next trip...but golly my heart yearns to be back in Venice and soon!